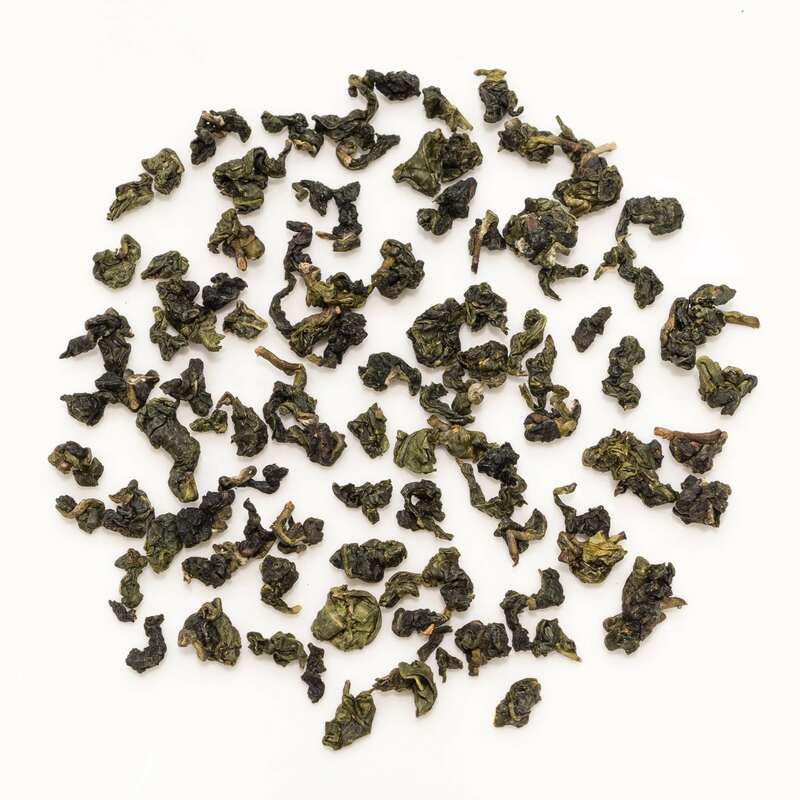 Dong Ding Oolong is a classic high mountain oolong from Meishan in Taiwan. It undergoes multiple baking to produce a smooth floral liquor. 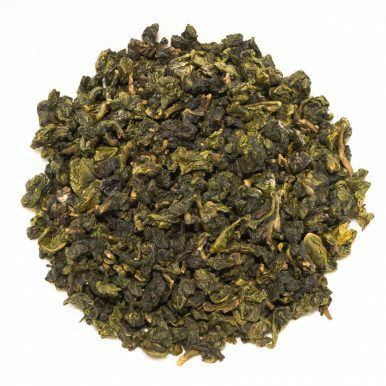 The complex profile has a floral and toasty edge with notes of exotic flowers, spices, caramelised nuts and wild honey. 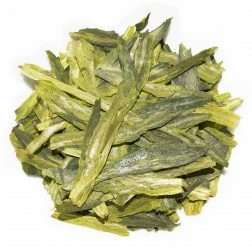 This Dong Ding Oolong (凍頂烏龍茶) is another product from our tea master in Taiwan and we are very excited to feature such a great example of this popular tea. 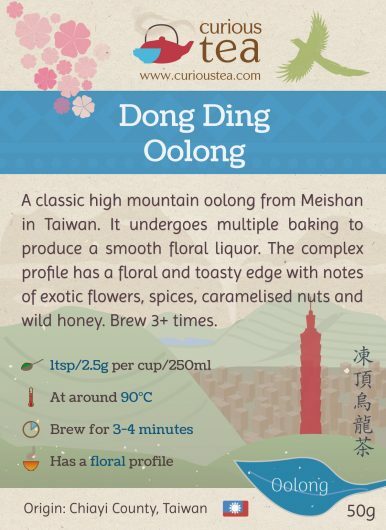 The name Dong Ding means ‘Frozen Peak’ and is named after a mountain in the area where this tea originally comes from. 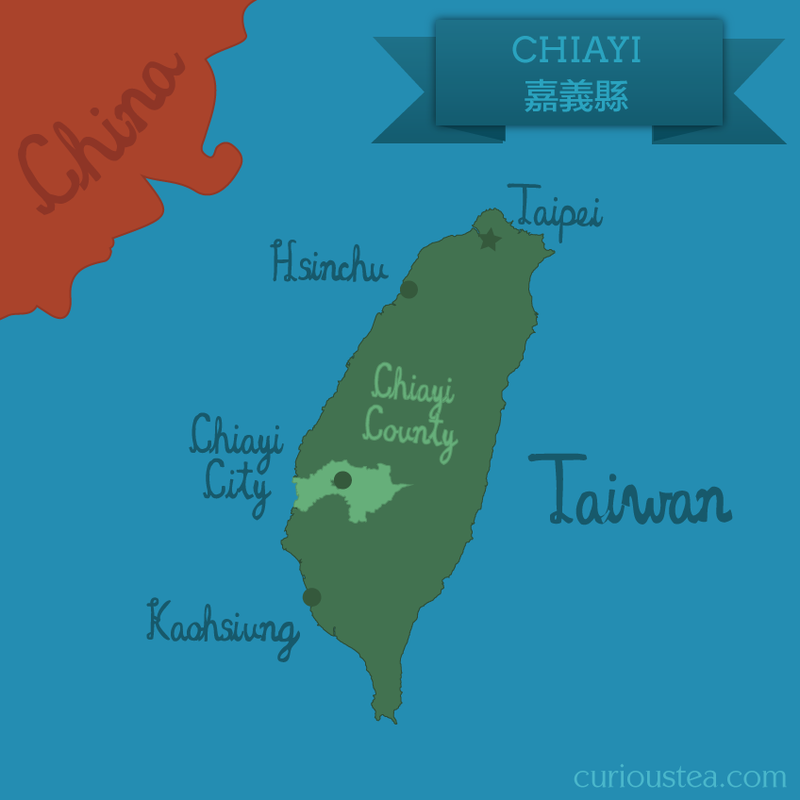 This tea is from spring 2017 harvest. 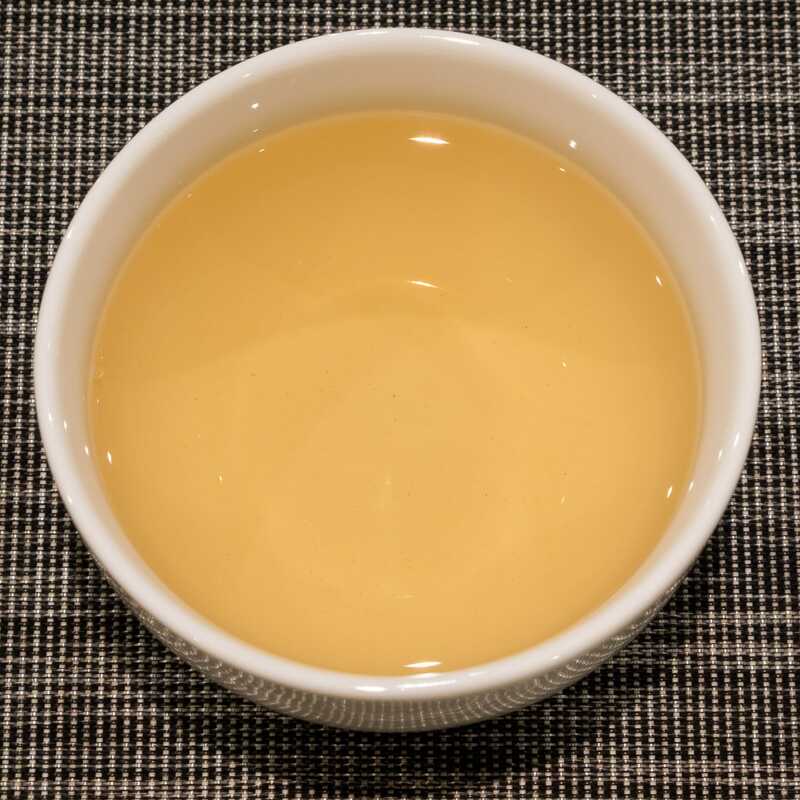 After initial processing, the tea was allowed to rest for 6 months and was baked again in late October 2017. Originally Dong Ding Oolong (also known as Tung-Ting Oolong) comes from Lugu Township in Nantou County where it is made from the Qing Xin cultivar. 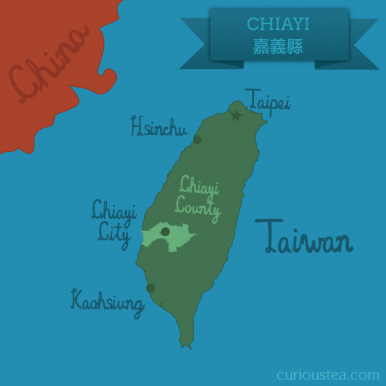 Due to the huge rise in popularity of Dong Ding Oolong, that area can no longer cope with the demand and other areas around Taiwan started growing and producing Dong Ding style oolongs. 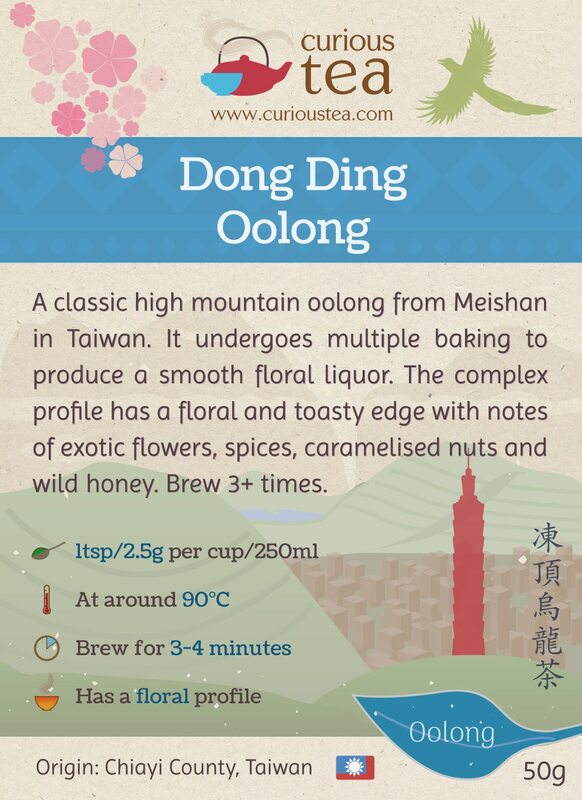 It is now accepted by many that Dong Ding not only refers to the original tea made from Qing Xin cultivar grown in Lugu but has now become the name to describe a particular style of tea that is very similar to that original Dong Ding Oolong. 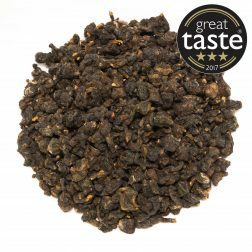 Some tea purists will not necessarily agree with that, but there are certainly some fantastic versions of Dong Ding Oolong available, both in the more traditional baked style as well as in a more lightly oxidised floral version. 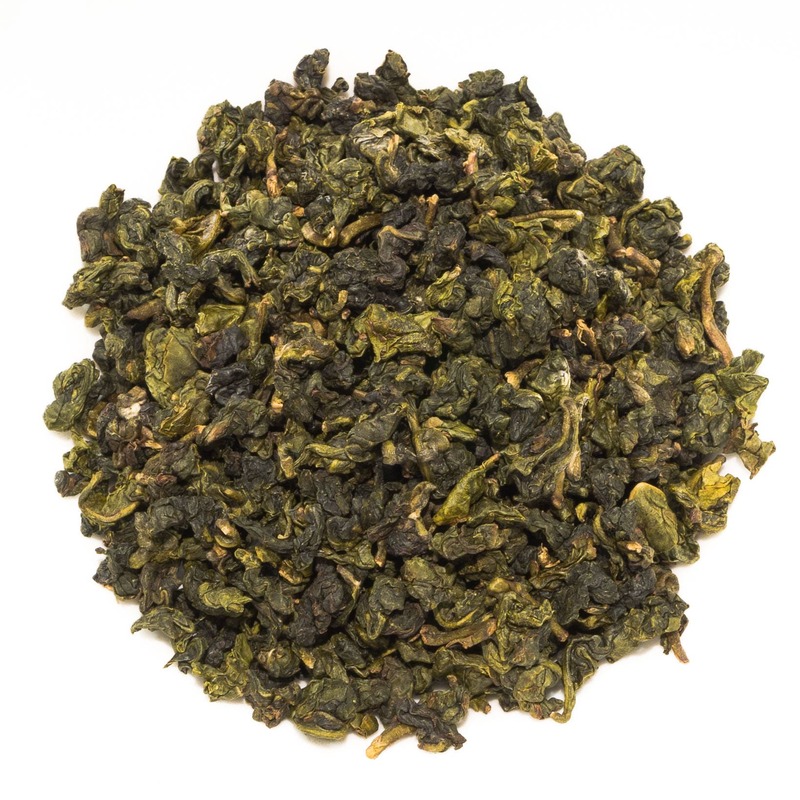 If you are interested in exploring the more traditional baked styles, you might be also interested in trying our Meishan Hong Shui Oolong. 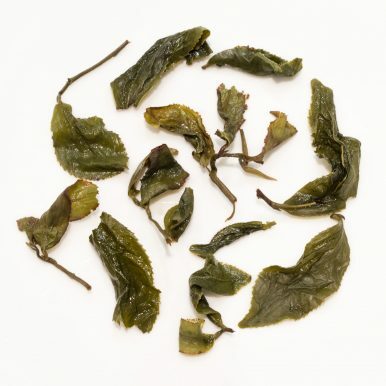 This particular Dong Ding Oolong is made with the classic Qing Xin ‘Green Heart’ (青心) cultivar. 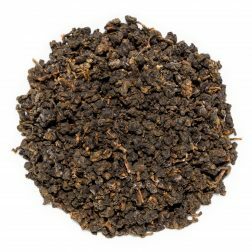 While there are many other modern versions of Dong Dong Oolong on the market that are lightly oxidised and highly floral, this is a more complex version that is baked multiple times and is much more traditional. 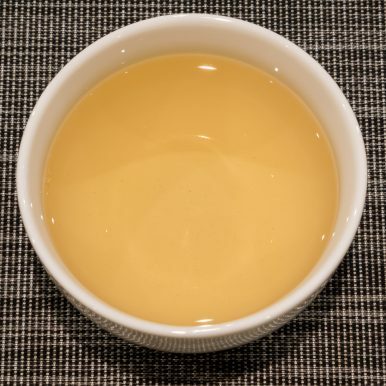 These more traditional versions of Dong Ding Oolong are quite hard to come by. 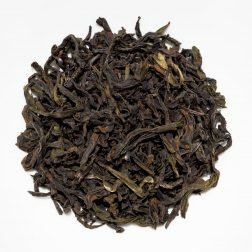 This is partly due to changing market demand – the more lightly oxidised floral version is very popular with many tea drinkers. 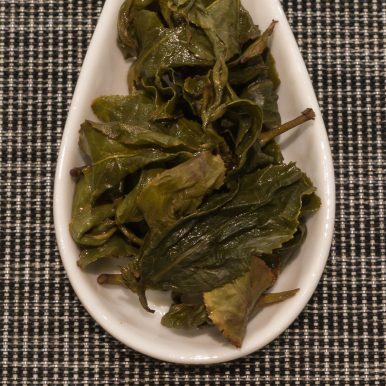 Partly it is also down to the fact that the more traditional method of processing of this oolong requires great skill, care, attention and, crucially, time.